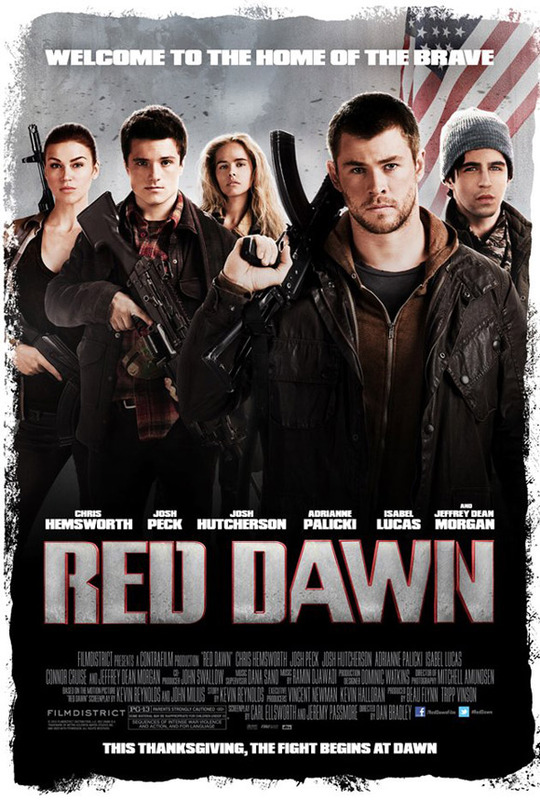 MGM has released an official poster for the upcoming remake of Red Dawn. The new film is basically the same story but it's North Koreans invading this time around. The film follows a group of teenagers living in middle America who have to save their town from an invasion of North Korean soldiers. That group of teenagers is portrayed by Chris Hemsworth, Josh Hutcherson, Adrianne Palicki, Isabel Lucas, Josh Peck, and Connor Cruise. The movie should finally hit theaters on November 21st of this year. It's hard to think that this movie will turn out to be good. The original film was so bad it was good. This is the feature film debut of Dan Bradley, second unit director of films such as Quantum of Solace, MI: Ghost Protocol, and The Bourne Legacy. Are you looking forward to seeing this remake? Did you even like the orignal film?